I absolutely love Starbucks! 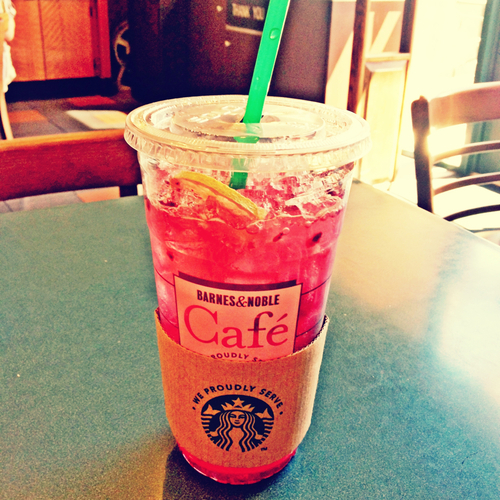 Today, I was encouraged to mix both the Very Berry Hibiscus and Cool Lime refreshers together. I think it's an interesting combination. I always get excited when I'm given suggestions on a new drink. What are your thoughts on Starbucks and their new beverages?